At this point, it is to everyone’s knowledge that an ongoing Trade War has been active given how markets were beaten down last year. Even though markets had retreated in January, concern that no trade deal between the US and China may be struck ahead of the March 1 trade truce deadline leaves anxiety present. It's hard for the US dollar (USD) to rise against the euro (EUR), but against the Chinese yuan (CNY) and South Korea won (KRW), the recent downtrend of optimism about a trade deal between the US and China is emerging, as it should, through a stronger USD and weaker Asian Forex. This could become more evident if recent hesitancy about the progress made towards a deal grows, and the CNY and KRW are the two currencies that will probably see the greatest impact. CNY because the Trade War is all about China and the KRW because it is the regional trading powerhouse and liquid currency. Should there be a final positive announcement, there could become a final modest relief rally in Asian Forex and in particular, the CNY and KRW, before the USD comes crawling back through late Quarter 1/ Quarter 2 of 2019. Governor Lowe has admitted that there is two-way risk around Australian rates, and that the next move, whichever direction it is, would be some way off. Due to this bank bill futures markets recently began to echo. The Australian dollar (AUD) is looking weaker again, as it should if trade worries are well founded; this is becoming old news now – it is evident everywhere. Japan's wage growth became one of Shinzo Abe's main targets during his ruling, about which we hear relatively little these days. Abe actually managed to pull off quite a victory. Wage growth, for the longest time virtually zero, has picked up since mid-2017 and is now running at a 1.8% year-on year (YoY) pace. Even in real terms, this is 1.4%. While this is a good result, it should also have spurred some stronger household spending. In contrast, this remains pathetically weak. The latest read of 0.1 percent YoY is not distinctly different from recent years. It may just take more time for workers to view wage increases as permanent before they spend them, rather than saving them. One of the things that is probably not helping spending is the Bank of Japan's current extension of unorthodox monetary policy. It may not actually be making things worse, but as the increasing rate of Japanese pensioners committing petty crimes to get shelter and food in jail shows, for parts of the population, zero yields are actively hurting. Asia’s worst-performing currency for the year offered the region’s best returns over the past week as slowing Indian inflation added to the cheer over the central bank’s surprise reduction in interest rates. While a rate cut typically lowers a currency’s yield appeal, it bolsters foreign inflows into local shares, which helps strengthen the rupee. Global funds have bought $410 million of Indian shares this month, after being sellers in January. The inflow has fuelled a seven-day rally in the currency, the longest streak in three months. In separate announcements, the RBI is also planning to ease restrictions on foreign investment in corporate debt by removing a 20% limit on investment in a single company. Relaxation of guidelines for borrowing for bankruptcies is also in the pipeline. 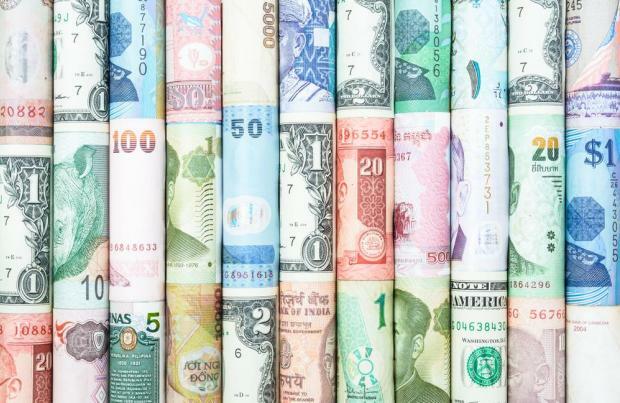 This remains a sceptical decision as to whether these measures will bring any support to the stressed currency when the broader investor sentiment is likely to remain fragile. It was also noted last week that there were other central banks in Asia that might also take advantage of a weaker USD and low inflation stemming from low oil prices, to undo some of the arguably unwarranted tightening from 2018. Bank of Thailand, Philippine Central Bank, Bank Indonesia and Bank of Korea rank amongst these. Time may be running out though if trade anxiety comes back with force and the USD with it. Disclaimer: This article was issued by Maria Fenech, investment management support officer at Calamatta Cuschieri. For more information visit, www.cc.com.mt . The information, view and opinions provided in this article are being provided solely for educational and informational purposes and should not be construed as investment advice, advice concerning particular investments or investment decisions, or tax or legal advice.